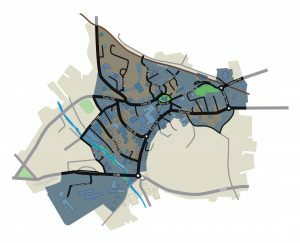 Baseline – Services provided by statutory organisations within St Austell that have a correlation to the projects that the BID will deliver have been documented. The purpose of this it to ensure that St Austell BID is adding value to current service provision and supporting businesses rather than replacing or duplicating existing services. An agreement in principle, subject to a successful ‘yes’ vote, has been reached with Cornwall Council, Devon and Cornwall Police and St Austell Council that these baselines will be reviewed each year. Cornwall Council issues will be reported through the localism team at Cornwall Council as and when they occur.